I’ve been teaching cooking classes at the Le Cordon Bleu culinary school, and recently we did a series on Italian regional cooking. 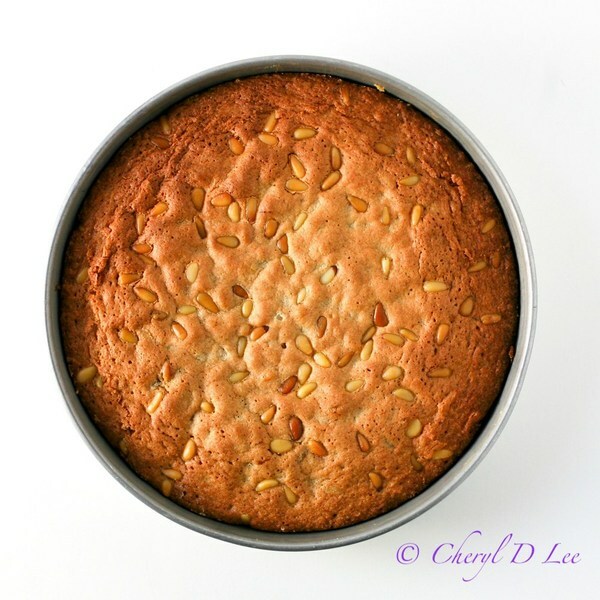 One of the recipes that made an impression on me was a Tuscan Pine Nut Cake. Very moist and flavorful, this was the kind of cake to serve not just after a meal, but with a cup of tea in the afternoon, or with a glass of champagne for brunch. 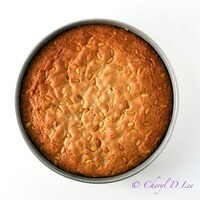 A simple cake, but it has a lot possibilities. Being a chef and recipe developer, I couldn’t just be happy with that recipe. I made the cake again, but tweaked it here and there, and then went back and tweaked it again.